A third-period goal from Nikolaj Ehlers ended up being the deciding score as the Winnipeg Jets earned a 4-3 win over the visiting Boston Bruins on Thursday. Some strong forechecking from the Jets led to a Boston turnover, with Ehlers pouncing on the loose puck for his 18th goal of the season at 13:02 of the third period. Ehlers' score ended up being a critical one as Charlie Coyle tipped in a Zdeno Chara point shot at 17:04 of the final frame to pull Boston within one. The goal was Coyle's first in 10 games for Boston since coming to the Bruins in a trade from Minnesota on February 20. The victory snapped a two-game losing streak for Winnipeg and allowed the first-place Jets to maintain their lead over Nashville atop the Central Division. The Bruins have lost their last three games in regulation, following a stretch that saw them record points over 19 consecutive games (15-0-4). Mark Scheifele snapped a four-game points drought by recording a goal and two assists on Thursday. The goal was Scheifele's 33rd of the season, giving the center a new career high. Winnipeg's top line of Scheifele, Blake Wheeler, and Patrik Laine each recorded two points in delivering the Jets' first two goals. Just over a minute into the game, Laine fired a hard shot off goaltender Tuukka Rask's pads, and Wheeler was in place to bury the rebound. Scheifele then scored on a Jets power play 11:24 into the first period. Laine had two assists in the game, yet also ran into some hard luck with three different shots that hit the post. While the Jets' biggest stars accounted for their early offense, Boston tied the game by the midway point of the second period thanks to some less likely scorers. Charlie McAvoy and Joakim Nordstrom each recorded their respective sixth goals of the season. The Bruins outshot Winnipeg 19-7 in the second period, and that dominance continued into the first portion of the final frame. The Jets didn't manage a shot on net in the third period until Jacob Trouba scored at the 7:38 mark. David Krejci had two assists for the Bruins. 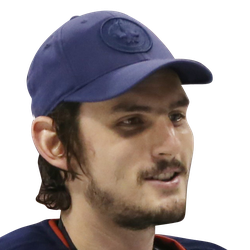 Jets goalie Connor Hellebuyck saved 36 of 39 shots to earn his 29th win of the season. 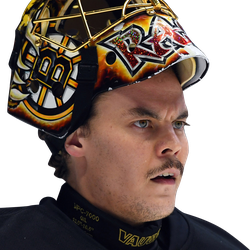 Rask allowed four goals on 24 shots. The Bruins' netminder has only an .848 save percentage over his last four games.